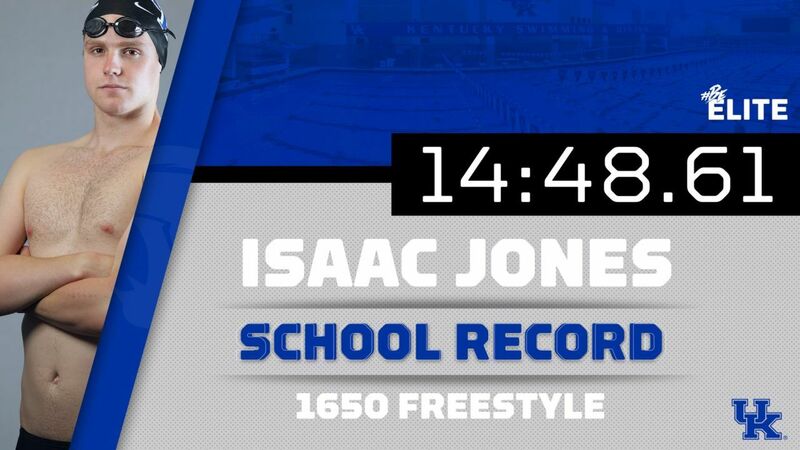 SEC leader Isaac Jones missed the 500 free yesterday and is questionable for the mile on Sunday after suffering a hand injury, the University of Kentucky says. The Wildcat senior had a stellar midseason meet, smashing 3 seconds off his 500 free school record and almost 10 off his mile record. He was the top incoming seed in the SEC in both the 500 (4:14.72) and 1650 frees (14:48.61). But Jones did not compete in the 500 prelims yesterday and also scratched the 200 freestyle this morning. A spokesperson for the University of Kentucky athletics department said Jones has a hand injury, but might still contest the mile, saying the coaching staff was still uncertain on whether or not he’d compete Sunday. The Australian swimmer hasn’t hit any NCAA A cuts yet, but is probably in line to earn an invite based on his midseason times. But his absence factors in big for Kentucky’s team points hopes, as he was in line to score upwards of 80 points in individual events alone based on his seeds. Jones also did not swim the 800 free relay on day 1.